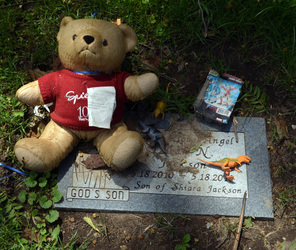 This poignant monument of two brothers commemorates the short lives of Lars and Eddie Schmidt, ages six and two respectively. 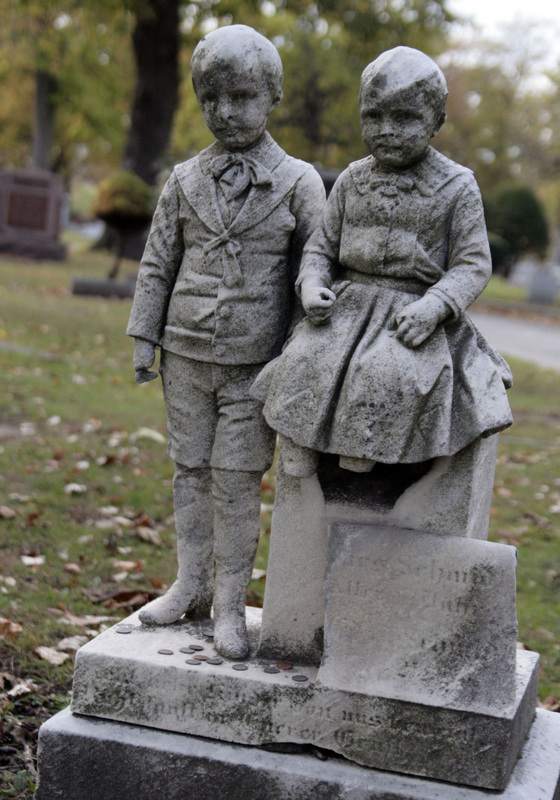 The brothers, who lived at 869 West 21st Street (now 2038 West 21st Street) in Chicago, died of diphtheria just two days apart. 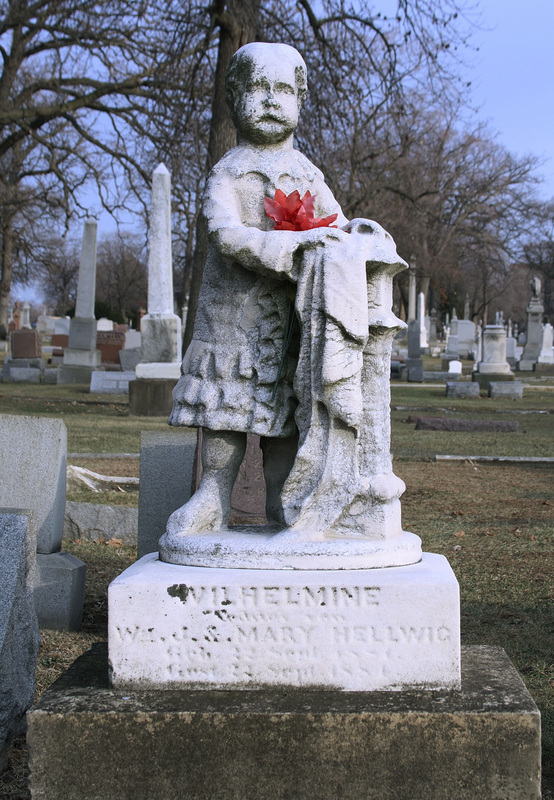 They were the sons of Lars Schmidt, an undertaker and his wife Frieda. 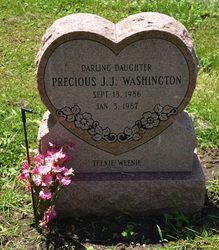 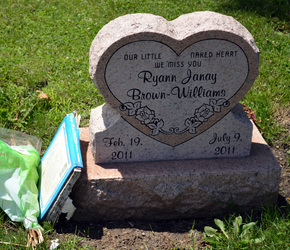 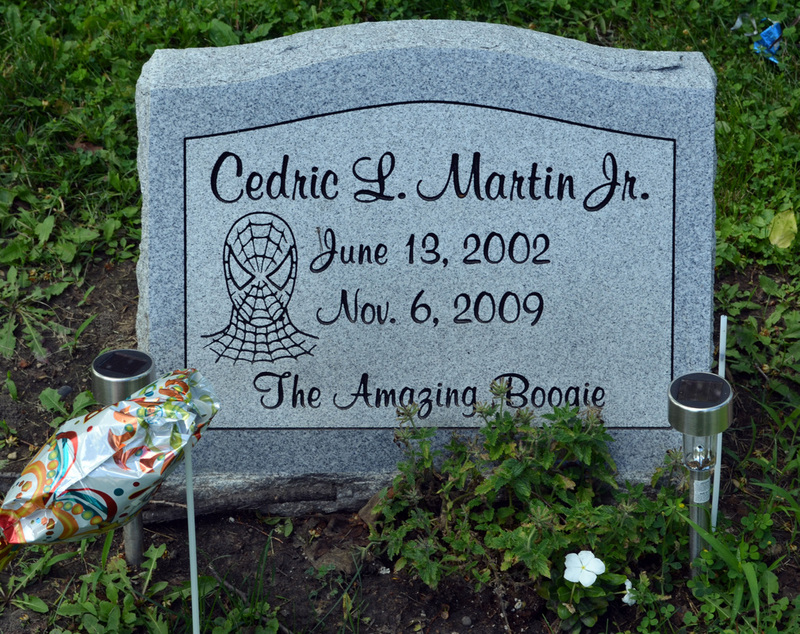 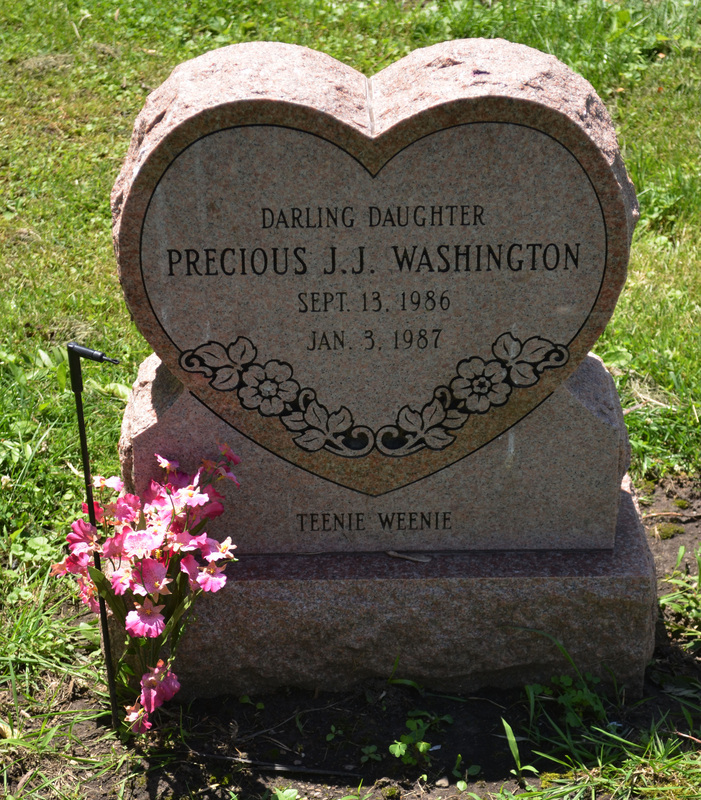 They still receive small gifts on their graves and their monument serves as a landmark for many who visit the cemetery. 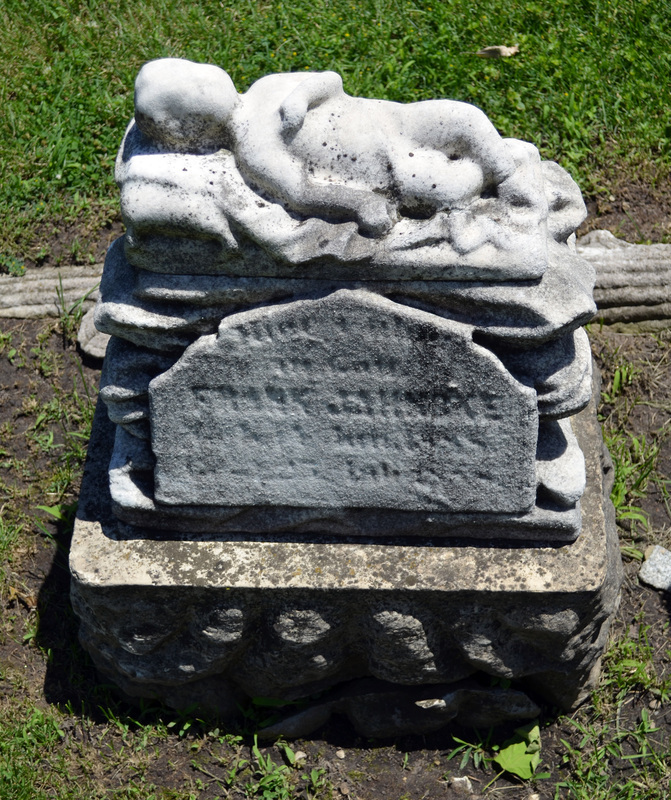 Before the discovery of penicillin and other antibiotics, many young children lost their lives to infectious diseases such as diphtheria, smallpox, and influenza. 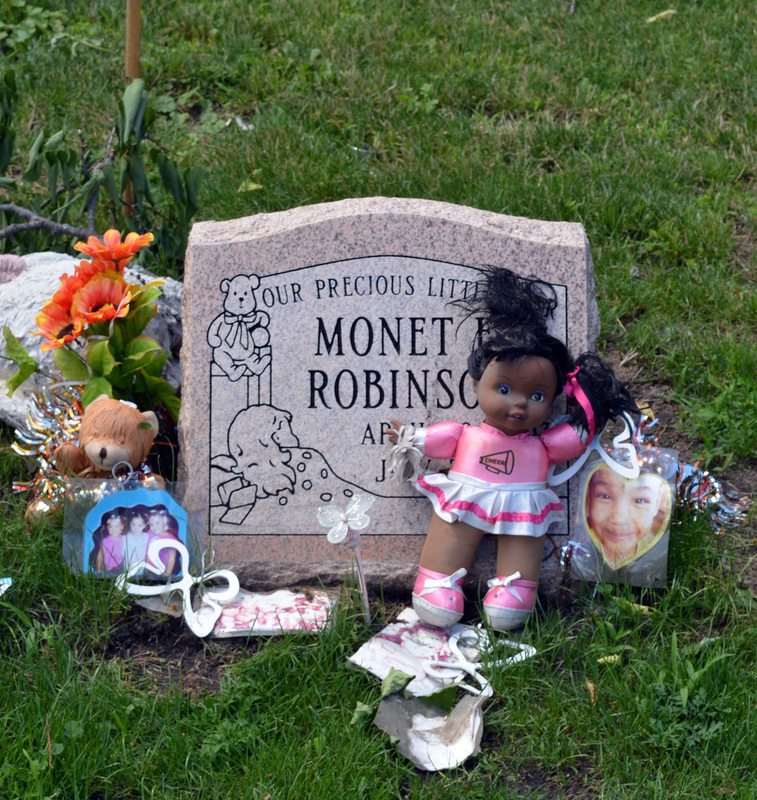 During the nineteenth century, children under five years of age accounted for forty percent of the mortality rate. 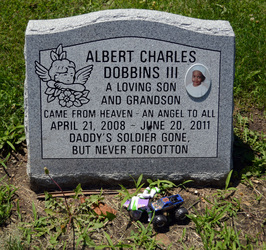 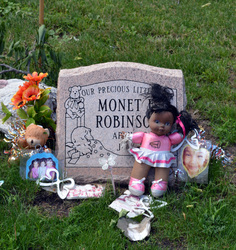 Near the Des Plaine River and Roosevelt Road in section 25 there is a grouping of gravestones for children who have recently passed. 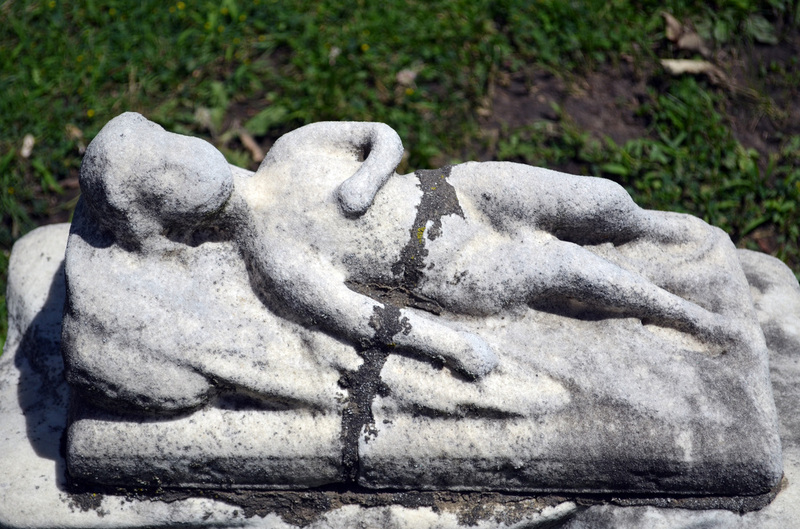 This section is referred to as the Heavenly Angels. 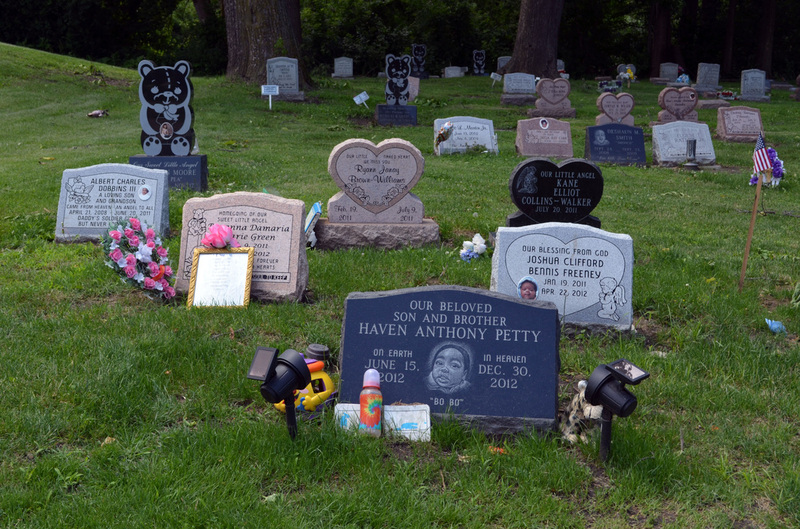 Many of these gravestones are in the shape of hearts and teddy bears and frequently are decorated with toys, books, photos and teddy bears.